• Memphis-UCF is no rivalry. The Knights have now beaten the Tigers 13 times in a row. That's a big dog treating a little dog like a chew toy. UCF has owned Memphis in seasons of misery (2009-12) and in seasons of success (the Knights are responsible for half of the Tigers' eight defeats the last two years). And we were reminded in last Saturday's championship game that UCF's Josh Heupel is a better halftime coach than the Tigers' Mike Norvell. Memphis led their regular-season meeting at halftime, 30-17, but didn't score after the break. Memphis led last weekend at halftime, 38-21, but scored only three points after the break. Those first halves were cruel teases. UCF is the standard that Norvell, his staff, and players must aim to reach. Don't call it a rivalry yet. • I'm not convinced UCF needed any help from officials to beat the Tigers last Saturday. Touchdowns on five straight Knight possessions in the second half made for a thorough drubbing. But the officiating was, at best, cloudy. Flags picked up (that would have benefited the Tigers). Flags thrown for borderline infractions (that penalized the Tigers). To the critics and conspiracy theorists, I'd say . . . speak louder. Holding — offensive or defensive — can be called on virtually every snap of a football game. It's as common as touch fouls in basketball (which occur on every single drive to the basket if a team is actually defending). This makes for an easy method to sway a game in one team's favor should an officiating crew be tasked with doing so. The AAC had much to gain from a UCF win, namely a lengthy undefeated streak for the country to analyze (now 25 games) and another berth for the Knights in a New Year's Six bowl game. Did the officials discuss this in their pregame meeting? I doubt it. But their shoddy performance begs the question. So keep asking the question. • For the first 85 years of Memphis Tiger football (1912-96), the program produced precisely one 1,000-yard season from a running back: Dave Casinelli's 1,016 yards in 1963. Since 1997, Gerard Arnold, DeAngelo Williams, and Curtis Steele added a total of six such four-figure seasons. But here in 2018, the University of Memphis has two 1,000-yard rushers in the same season. Whatever you take from the 2018 Tigers, absorb this, for it will not likely be seen again. 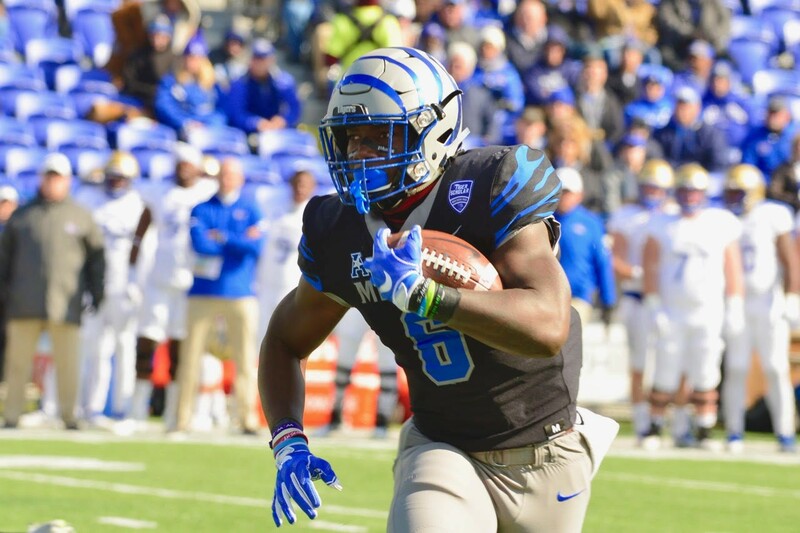 Darrell Henderson will enter the Birmingham Bowl with 1,909 yards (and a Tiger-record 25 touchdowns). With 56 yards against Wake Forest, Henderson will break Williams's single season record of 1,964. (Williams carried the ball 310 times in his 2005 record-setting campaign. Henderson has 214 carries to date.) And when Henderson hasn't been sprinting past linebackers and safeties, Patrick Taylor has, to the tune of 1,012 yards (and 16 total touchdowns) on 178 carries. It's a good time to salute the Tiger offensive line that has blasted cartoonish holes for this duo: (from left to right) Trevon Tate, Dylan Parham, Drew Kyser, Dustin Woodard (first-team All-AAC), and Roger Joseph. Football is a pass-happy game these days. Until you combine the talent Memphis compiled this season in its backfield and offensive line. • An ugly detail of the 2018 Tiger season: Memphis has beaten only one team that finished its regular season with more wins than losses (Houston). And this won't change even with a win in the Birmingham Bowl (Wake Forest is 6-6). The Tigers will suit up some extraordinary players on December 22nd, but as a group, does this team want its legacy win to be the upset of Houston (minus its star quarterback) at the Liberty Bowl? 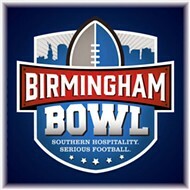 These Tigers desperately need a win in their bowl game, the more thorough the better. For all the program's recent success — and bowl games have become customary here — Memphis has lost its last three postseason games. I'm not sure any previous Tiger team has needed a bowl victory more.